Present state: Station building still extant in use as office accommodation. Part of the platform in front of the building and the iron supports for the canopy also survive. (Whitchurch) platform there was a simple timber shelter. 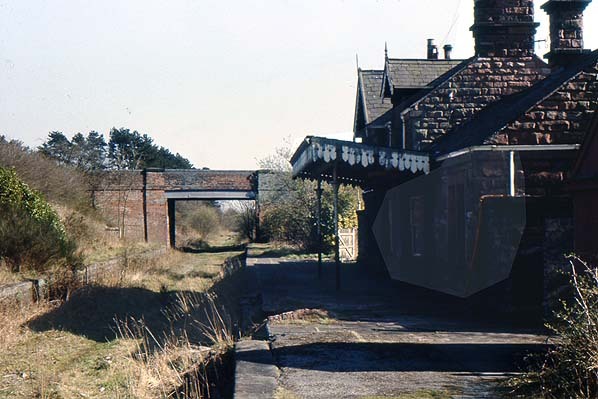 There were steps down onto the southbound 'up' platform from the road overbridge but a barrow crossing was the only means of access between the platforms. A small standard LNWR signalbox controlled access to the goods yard which was located to the north of the station on the west side of the line. Facilities in the yard consisted of a large brick goods shed (the only shed on the branch) cattle dock and crane with a capacity in the sidings of 32 wagons. During WW1 On the eve of an official visit to Chester in May 1917, the Royal Train carrying George V and Queen Mary stopped for the night at Malpas station. Troops from the Household Division guarded the area throughout the stay. through to Shrewsbury. There was never a Sunday service. 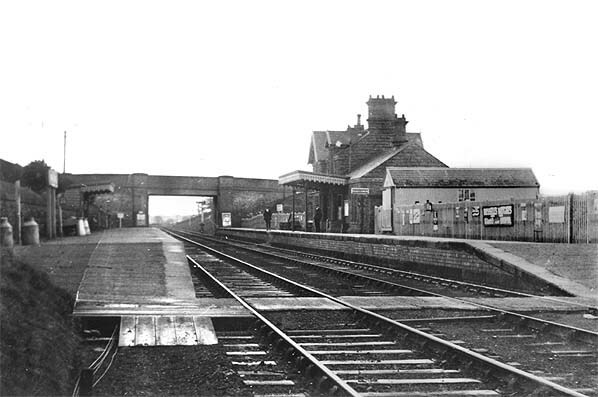 The area through which the line passed is quite rural and because of this passenger numbers were never very large and never reached expectations although it did help Tattenhall's popularity as a commuter centre for nearby Chester. The branch declined rapidly after WW2 with more and more commuters abandoning railways in favour of more convenient road transport while an ever increasing amount of goods traffic switched over from cars to lorries. Bank. The last freight was an oil train from Stanlow to Rowley Regis in January 1963 but local goods traffic continued until 4th November 1963 with both Broxton and Malpas remaining open. The track was lifted in c.1965. 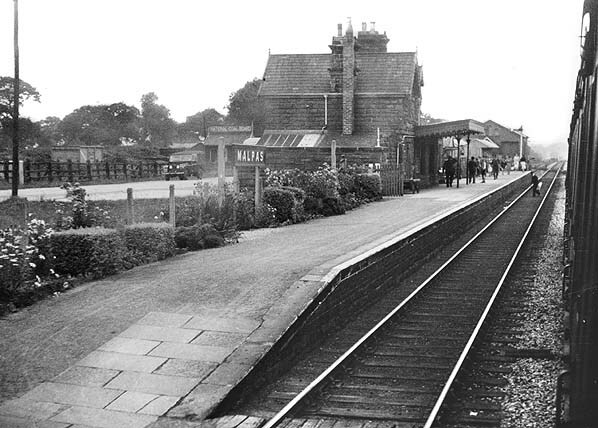 Today the station building at Malpas still stands. 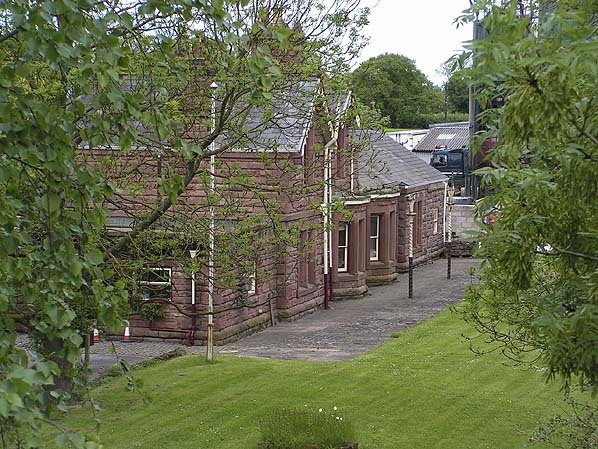 It is in use as office accommodation for Miles Mcadam Ltd. and many of the stations railway features have been preserved. Malpas Station in May 2006. Part of the platform is still extant and the supporting columns for the station canopy can clearly be seen.